Intermediate level. This reader is part of the Australian reader series. The story is a murder mystery. Intermediate level. This reader is part of the Australian reader series. Baku the boy who loved sums includes numeracy activities. Intermediate level. 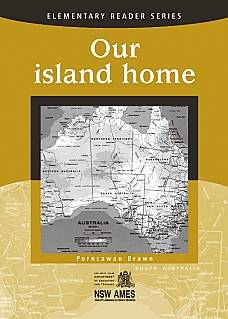 This reader is part of the Australian reader series. Detective Inspector Gray has the job of solving the puzzle with no ideas, clues or suspects. Beginner reader series. These stories are about people and animals. This reader is about fire. It includes factual stories to listen to and fictional stories to read, as well as instructions and a safety check to keep your home safe from fire. David Steele comes to work for Tess as her housekeeper but why would a handsome young executive want to work as a cook and cleaner? Post-beginner level. 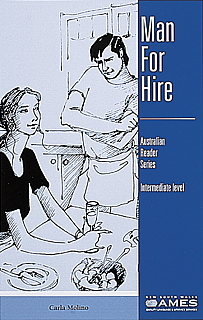 This reader is part of the Australian reader series. 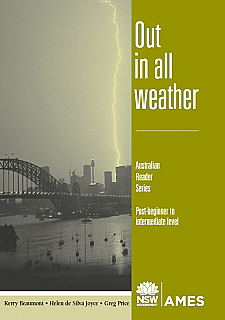 These stories are about people and extreme weather.